With competition and house values on the rise, it’s tempting to jump in and buy the first bargain you come across. After all, if you put a little money into it and fix it up, you’ll have a beautiful home that is worth much more than what you paid for it. Instant equity, right? Well, underestimate the cost of repairs, and you could end up with a money pit. While home buyers should always a have a home inspection done before the end of their due diligence period, there are some red flags you should watch out for while looking at homes which may help you identify some problems before spending money on a home inspection. If any of the following problems are noted during the house-hunting process, you should consider the risk involved, and in some cases, move on to another property. Brown or dark colored stains on the ceiling or walls is usually a pretty good indicator that there is currently, or has been at one time or another, a leak in the roof, or the plumbing in the house. Although stains are the most obvious sign of water infiltration, there are some other signs you can look for such as, peeling paint or wallpaper, standing water or muddy areas, or the house has a stale, musty smell. Water leaks can cause all kinds of problems and should be dealt with immediately. Roof repairs can be costly, but if the roof needs to be replaced, you can expect to spend thousands of dollars. Roof issues can cause lots of other problems also, such as, mold and mildew, attic and ceiling damage, pests and animals getting into the house, and any other number of challenges that will end up costing you more money and headaches. Something most people don’t think about is that it will also cause your utility bills to be much higher. Some plumbing leaks are easy to see but others aren’t so obvious, and unless you look behind the walls, or around and under the foundation, you may not know they even exist. Hidden leaks are much more likely to cause significant damage, and can cost you a whole lot more money. Plumbing leaks can cause a number of problems, including structural damage and health issues, as well as increased water bills. This could be a very expensive fix, or it may be no more than a daily annoyance. Either way, low water pressure could be a sign of a bigger problem and should be evaluated by a professional plumber before proceeding with the sale. Low water pressure could be caused by debris or minerals building up in the pipes, a faulty pressure regulator, or even low water pressure coming from the city. These may not necessarily be major concerns but what might be a major concern is if there is a leak somewhere causing the problem, or if it is due to old or inadequate piping in the house. All homes will settle through the years, so a little settling isn’t a reason to panic, but it is something you will want to be aware of. Believe it or not, improper water drainage is one of the most common causes of foundation failures and can result in excessive moisture around the house. Problems with the foundation can often be seen around home itself. Some of the things you should be on on the lookout for inside the house include, cracks or buckling in the walls, especially over the doorways and windows, as well as the point where the wall meets the ceiling and floors. Other problems to be on the lookout for are sagging floors or ceilings, moisture stains, and any windows and doors that don’t operate properly. On the exterior of the property, you should down the length of the foundation to see if it is straight. Any curves or bulging could signal that the foundation has shifted or that the soil may be putting pressure on the walls. Also, Inspect the soil around the house to see if it is unusually wet (if it has not rained recently), or abnormally dry (following a heavy rain). Rewiring an entire house is a major, yet often necessary, renovation. A simple outlet tester plugged into an outlet will let you know if the if it is wired and grounded properly. All outlets outside as well as in the kitchen and bathrooms should be connected to a GFCI outlet. You should also test all light switches and check the electrical panel for any safety concerns. Some red flags may be flickering lights, outlets or switches that don’t work or are charred and discolored, as well as any outlet or switch that delivers a shock when used, excessive use of extension cords, and exposed wires. Also, be aware of any burning smell that has no identifiable source. The life expectancy of the HVAC System in a house really depends on how well it is maintained. It is recommended to replace your unit every 15 to 20 years (that is the average life expectancy for most units). If the HVAC unit is at or near its life expectancy, then more than likely you will need to replace it in the near future. Some things to watch out are abnormal temperature readings, squealing or squeaking sounds, banging or rattling noises, dirty air filters or evaporator coils, frozen lines around the HVAC, or air conditioning units in the windows. Occasionally, the seals on insulated glass window will fail allowing air to find its way in between the panes of glass which then causes the window to fog and sweat. Once the dead air space between the two panes of glass is broken, you are basically left with the glass as the only insulator so the window will be far less energy efficient leaving you with little options besides replacing them. There can be a few reasons why the windows in a house don’t operate properly, including shifting or structural issues. Regardless of the reason, windows that don’t open present a serious safety concern by limiting the number of ways to get out of the house in case of a fire or the need for a quick exit. Replacing a house full of windows can be very expensive so don’t overlook the condition of those windows as you go through the house. If the home you are considering has been neglected or poorly maintained for an extended period of time, then you should definitely proceed with caution. In most cases, if the seller wasn’t willing to do the little things involved in maintaining the house, then they probably weren’t doing any of the major things either. A house is just like a car, if it isn’t maintained properly, problems will arise and eventually there will be costly repairs. The signs of neglect or poor maintenance should be obvious, and in most cases, it will be noticeable as soon as you pull up to the property, but unless you do a thorough inspection, you won’t know the extent of the neglect or the damage it may have already caused. If this is the case, you should probably ask yourself this question… If the seller has neglected all these things that I can see, how bad are the things that I can’t see? Of course, these are just a few examples of the red flags that may come up when considering a fixer-upper. Some maintenance issues or even a small leak that was discovered and repaired quickly may not be a serious concern, but the items on this list deserve some serious consideration on whether to move forward or move on to another property. 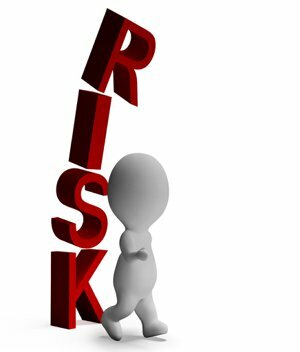 It’s important to know and understand the risks involved when purchasing this type of property. The rewards can be great, but the risks can be even greater. Having an agent that understands the risks involved in buying a home can save you thousands of dollars, and the best part is, our service doesn’t cost you a thing! Contact Us or give us a Call at 678-985-1234 and let us help you find and get the best deal on what you’re looking for!